Chicago Legal Search, Ltd., a NALSC member and NGLCC Certified Business Enterprise, provides the best attorney recruiting and placement services in Chicago and surrounding Chicagoland area. We take the time to learn about your organization and strive to present highly qualified lawyers who will become an invaluable addition to your team. The Chicago legal market is our niche specialty. Since 1988, we have established close working relationships with Chicagoland law firms, companies and the individuals within them who make hiring decisions. By working with Chicago Legal Search, Ltd., you can be assured that inquiries to potential employers on your behalf will be handled professionally and discreetly. Welcome Ashley M. Leo, our newest Legal Search Consultant! Chicago Legal Search is proud to announce that our President, Gary D’Alessio, has been selected as one of Crain’s First Annual 2018 Chicago’s Notable LGBTQ Executives. Please join us in congratulating Gary on this outstanding achievement! We sincerely thank our loyal clients and outstanding lawyers who we have been privileged to serve over the last three decades. We take special note of the tremendous contributions and accomplishments of those we have been fortunate to represent. 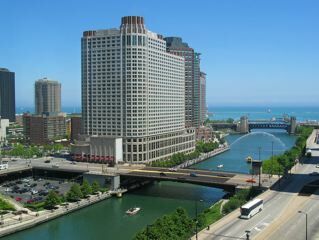 We look forward to continuing to assist the ﬁnest Chicago lawyers, law ﬁrms and corporations in achieving their goals.